The pack is supplied in a convenient A4 format with both section\'s self duplicating, one for you and one for the client Manage the risk and remove the doubt by using a Protecta Business Documentation Pack In an ever increasingly difficult economic climate where your customers are refusing to pay for works you have carried out, what safeguards have you in place to ensure that the terms under which you are carrying out the works are clearly stated? Protecta Business Documentation has the answer. 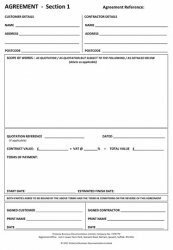 If the worst happens and you need to commence legal proceedings, the Judge will want to know what the contract terms were. If there is nothing in writing then it will come down to which set of (often differing) facts the Judge believes when you pursue your claim through the courts. That is why you need a Protecta Business Documentation pack to provide clarity. 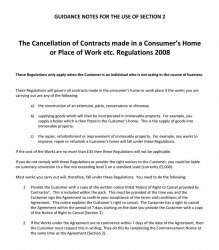 ﻿As a contractor carrying out works for homeowners, you must be aware of your obligations under the Cancellation of Contracts made in a Consumer\\\\\'s Home or Place of Work etc. Regulations 2008, commonly known as \\\\\'the Doorstep Selling Regulations\\\\\'. Failure to comply with these Regulations means that you could be liable on summary conviction for a fine not exceeding level 5 (which is currently £5,000). 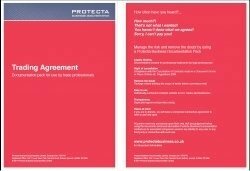 The Protecta Business Documentation pack provides a simple solution with duplicate copies of all notices required to be provided by you and the customer to comply with these Regulations.